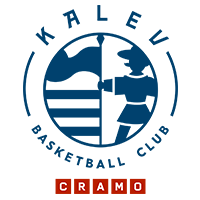 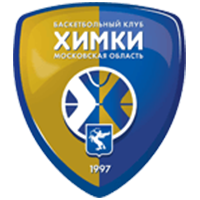 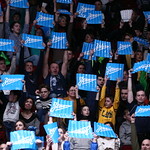 Zenit St. Petersburg defeated Lokomotiv-Kuban Krasnodar at home, 79-78 (22-17, 19-24, 18-25, 20-12). 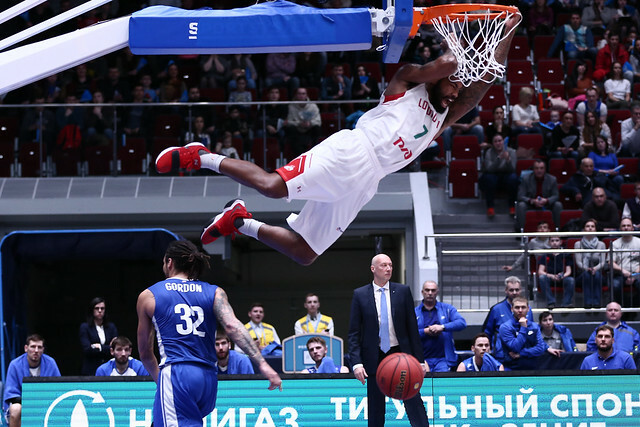 Zenit secured a crucial 79-78 win over Lokomotiv-Kuban in St. Petersburg, rescued by Drew Gordon’s putback, and takes over sole possession of 3rd place. 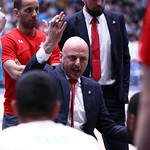 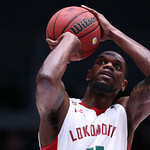 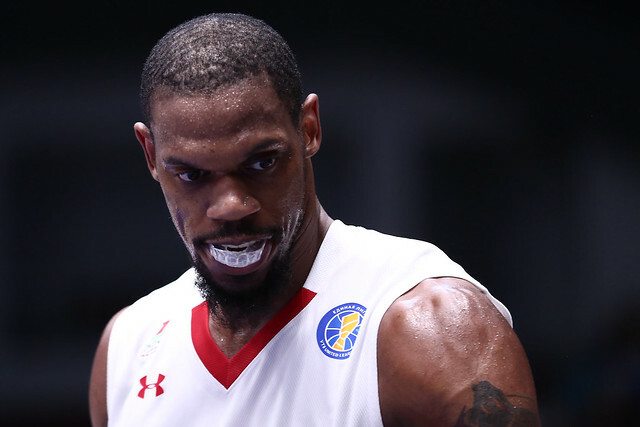 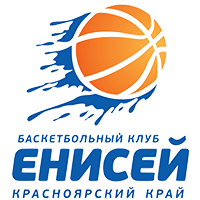 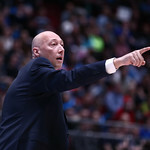 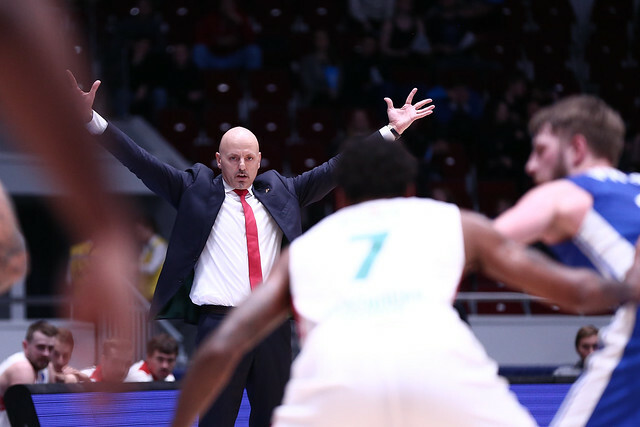 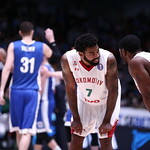 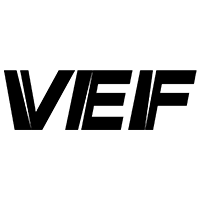 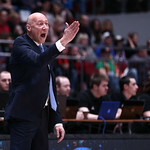 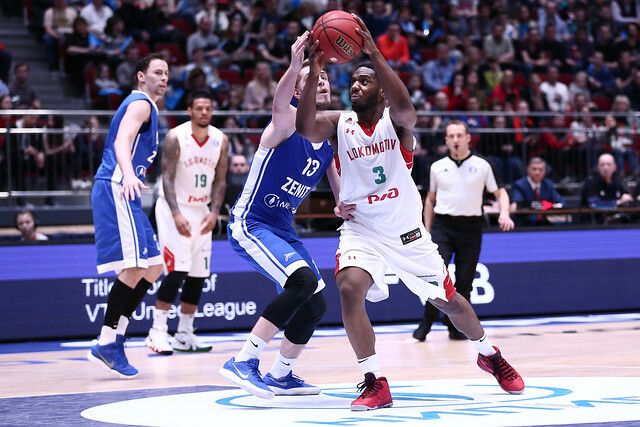 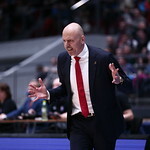 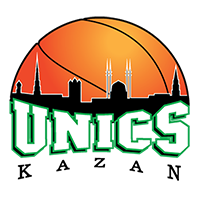 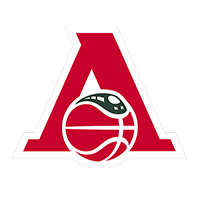 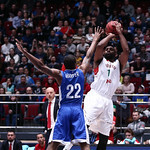 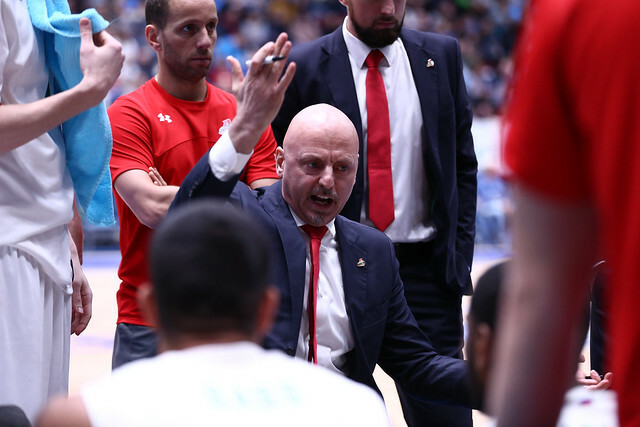 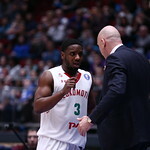 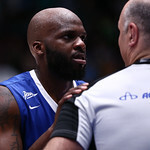 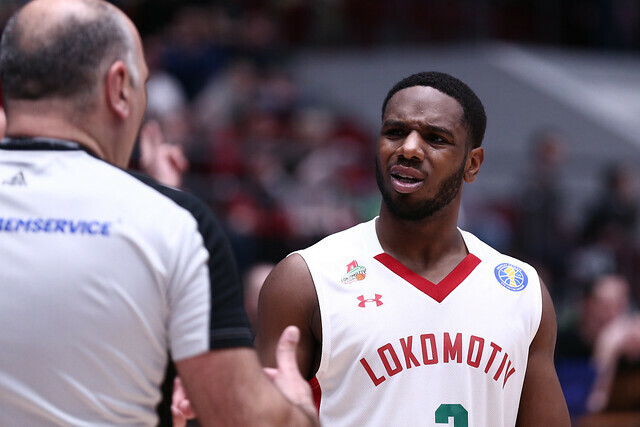 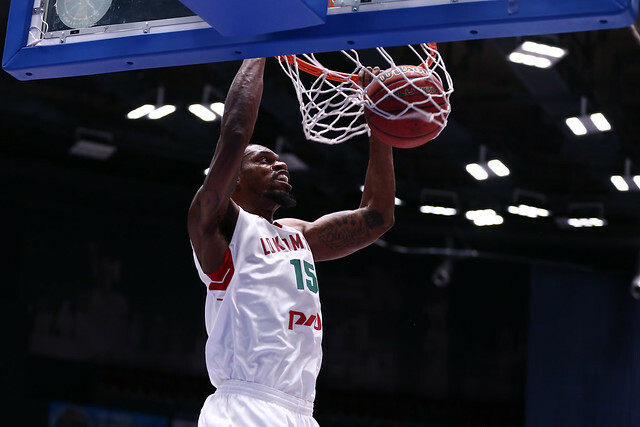 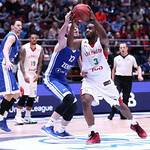 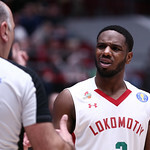 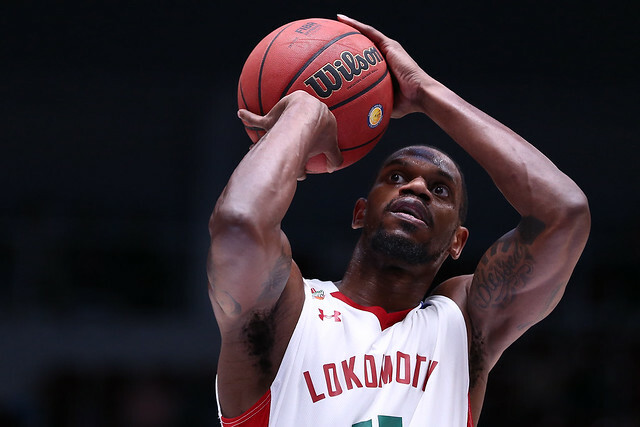 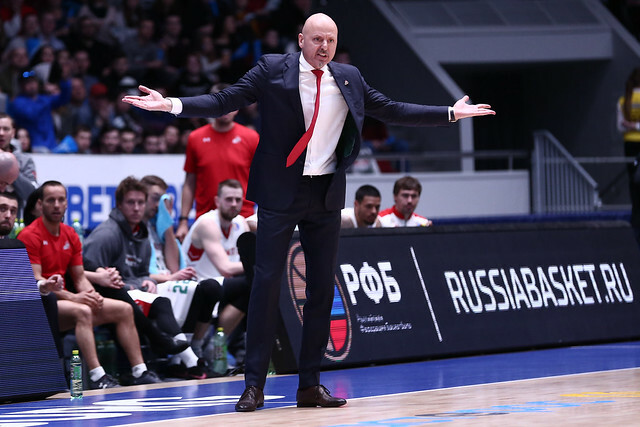 Lokomotiv-Kuban’s Trevor Lacey missed a chance to give his team a two-point lead with seven seconds remaining, connecting on one of two free throws. 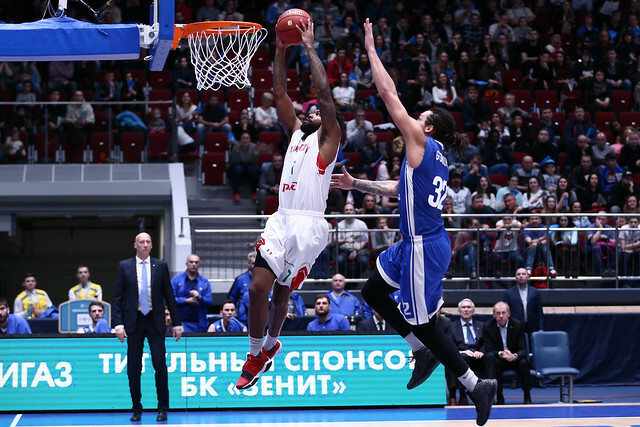 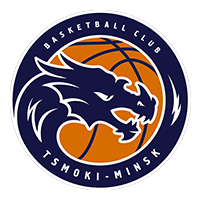 With the clock winding down, Zenit forward Sergey Karasev was a little too strong on his layup attempt and Kyle Kuric missed the first putback, but Gordon was there to follow, converting the game-winning tip-in to secure a one-point win. 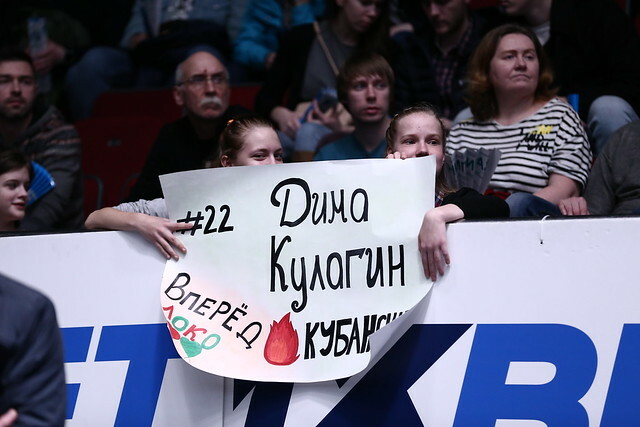 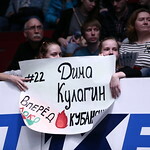 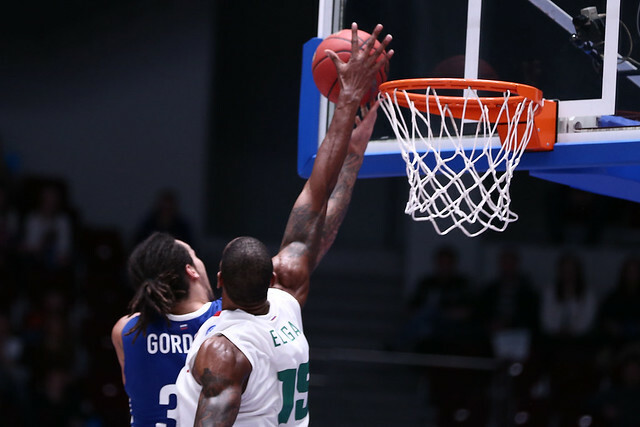 Krasnodar won the first meeting of the season, 87-84 at home, and Zenit was looking for payback in the Yubileyny. 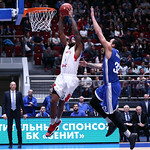 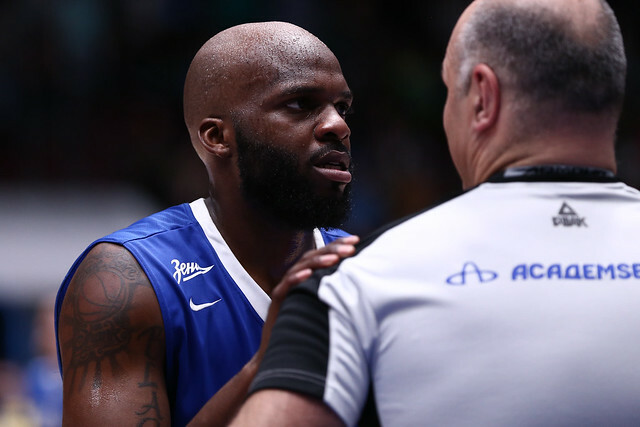 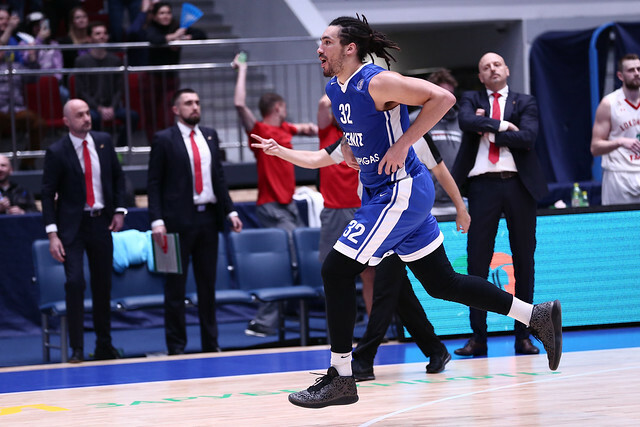 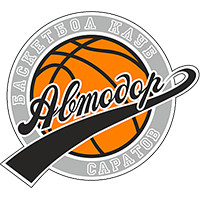 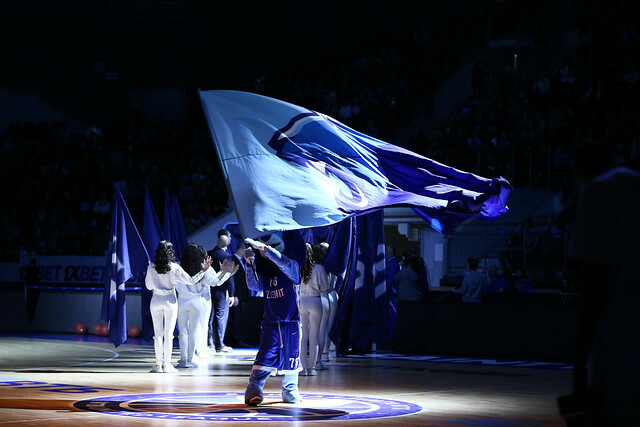 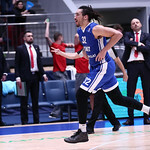 The Blue-White-Sky Blues also needed to rebound from last week’s thrashing at the hands of Avtodor, a game in which St. Petersburg trailed by 25 points at halftime. 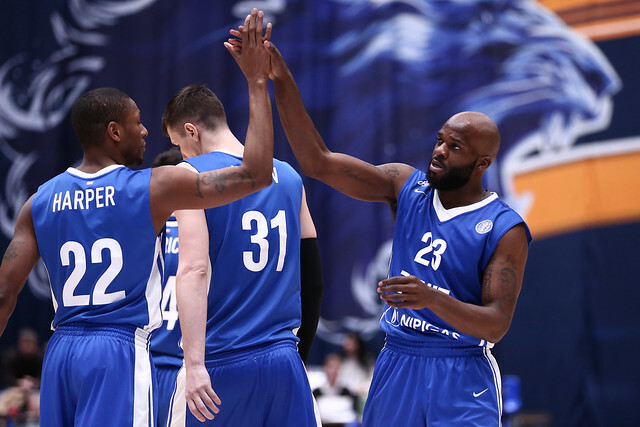 The home team came out strong, opening up a 22-17 lead at the end of the 1st quarter. 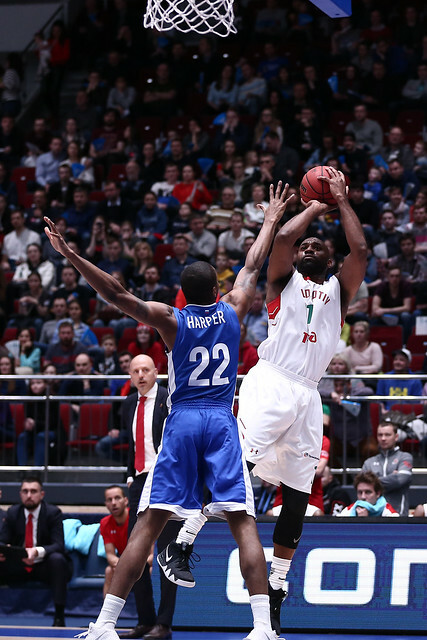 The 2nd quarter featured five ties and five lead changes. 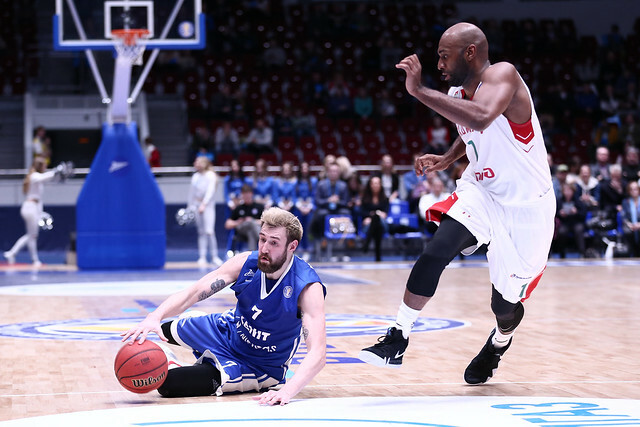 Sergey Karasev led Zenit with 17 points in the game, including a 3-pointer to end the first half which knotted the score at 41-41. 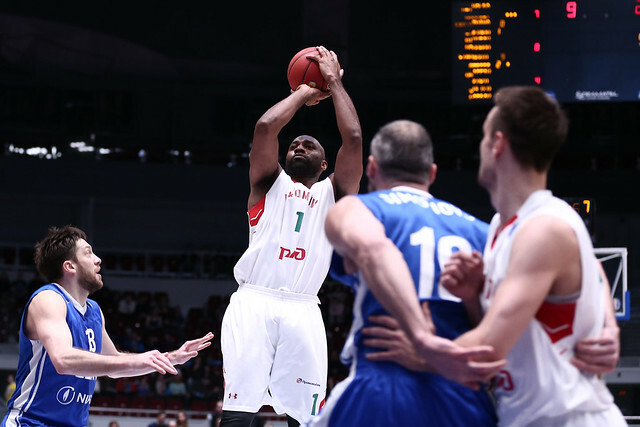 Pavel Antipov set the tone for the visitors to open the 3rd quarter, draining a triple that put Loko on top, 44-41. 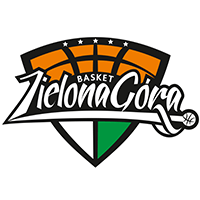 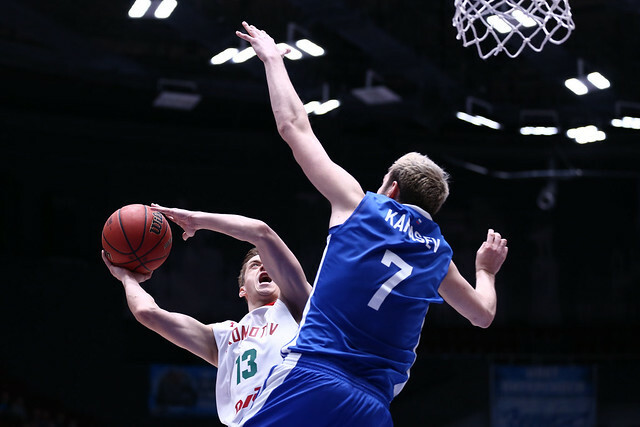 The Railwaymen never trailed in the period, opening up a game-high seven-point lead at the end of the 3rd, 66-59. 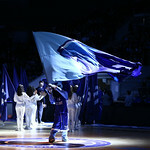 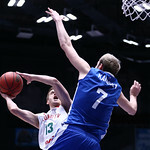 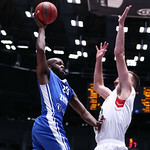 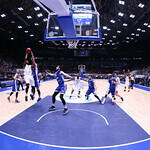 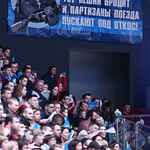 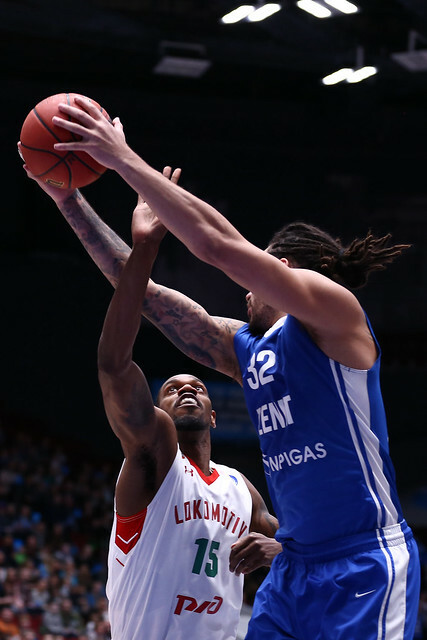 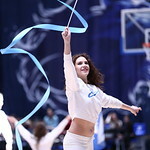 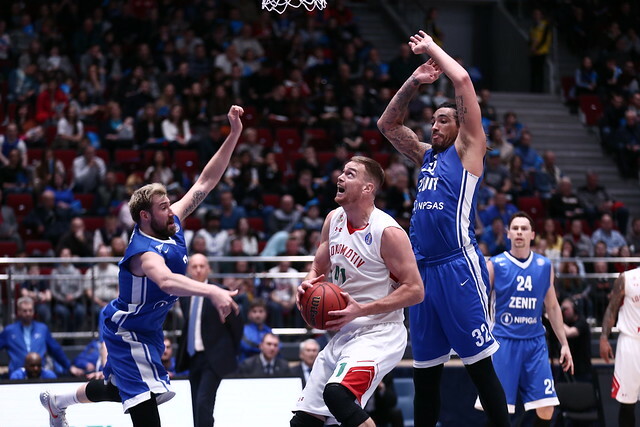 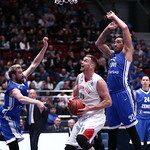 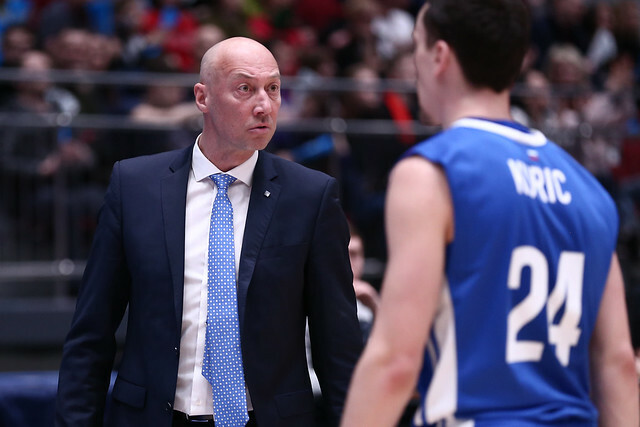 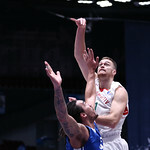 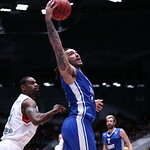 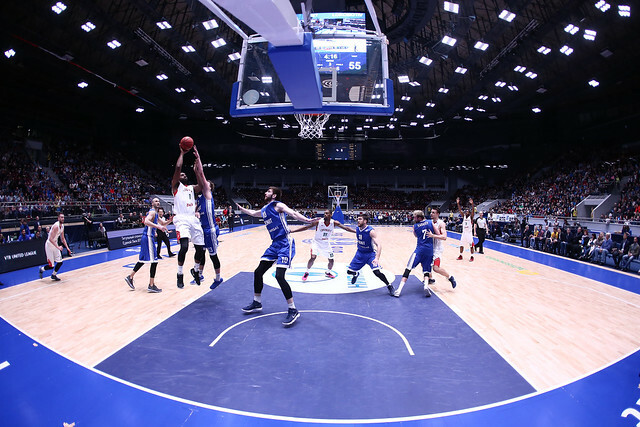 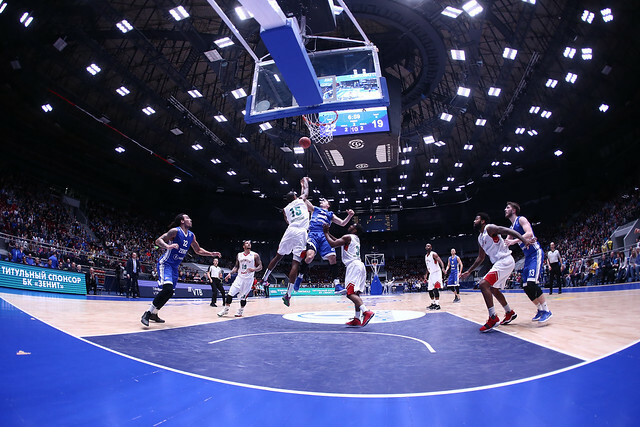 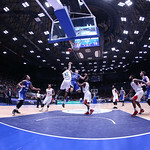 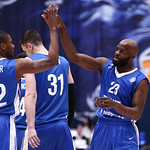 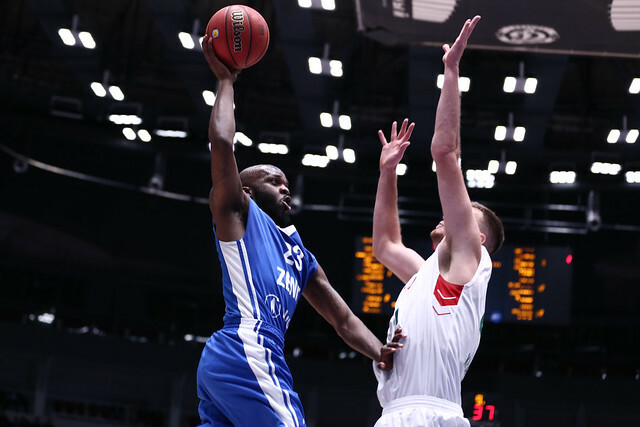 Zenit responded with a 10-0 run to begin the final period, ensuring a dramatic final seven minutes. 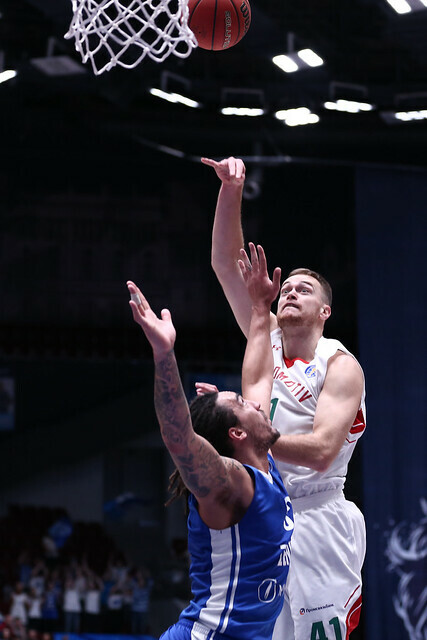 Trailing 77-75, Loko big man Brian Qvale tied the game on a layup with a little more than a minute remaining. 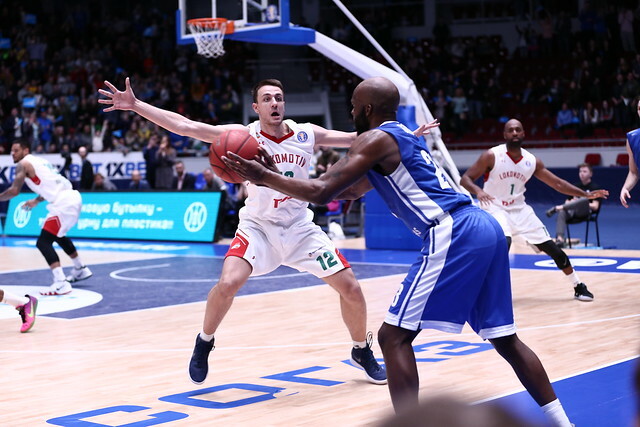 At the other end, Zenit missed two chances to regain the lead, with Karasev and Evgeny Voronov both failing to knock down 3-point attempts. 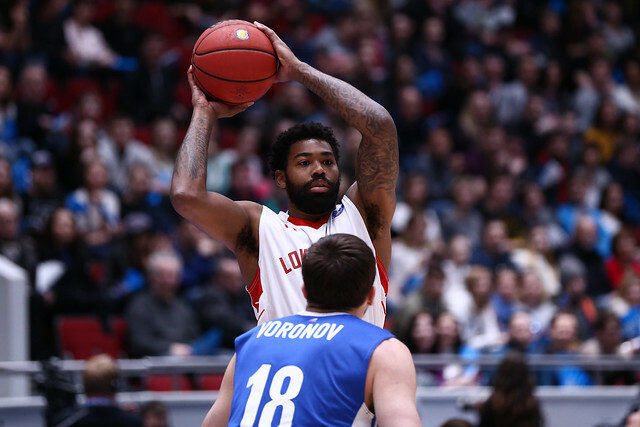 On the Voronov miss, Kuban’s Trevor Lacey came down with the rebound and was fouled with seven seconds on the clock. 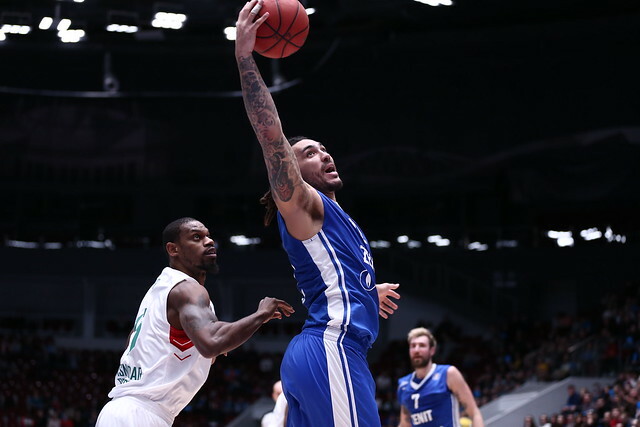 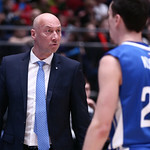 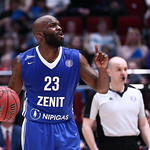 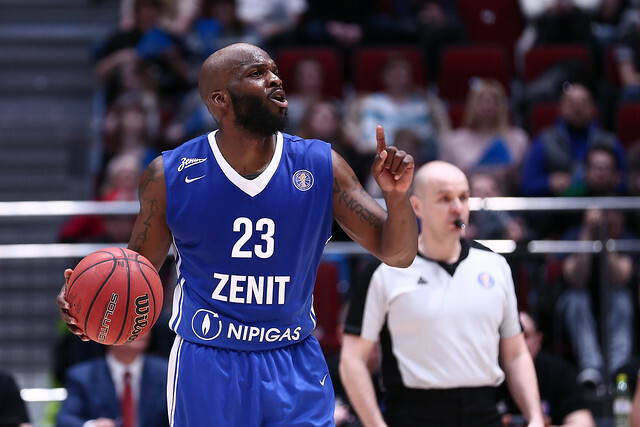 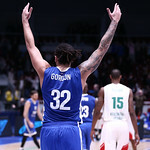 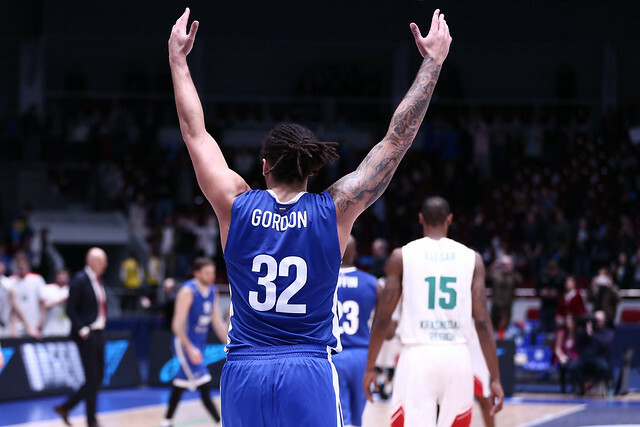 But Lacey kept the door open for Zenit by going 1-2 at the line and Gordon seized advantage, thrilling the Yubileyny crowd with his last-gasp tip-in as Zenit escaped with a 79-78 win. 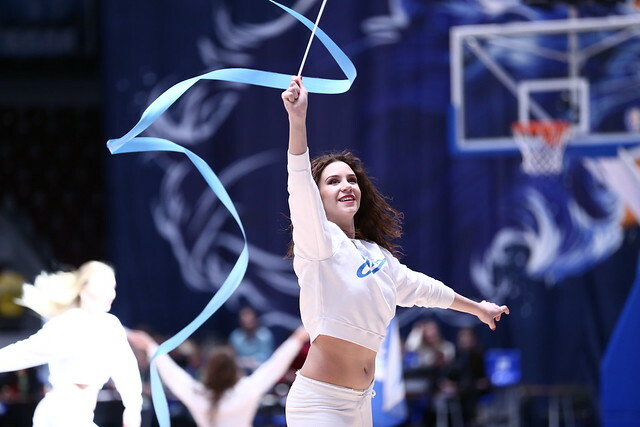 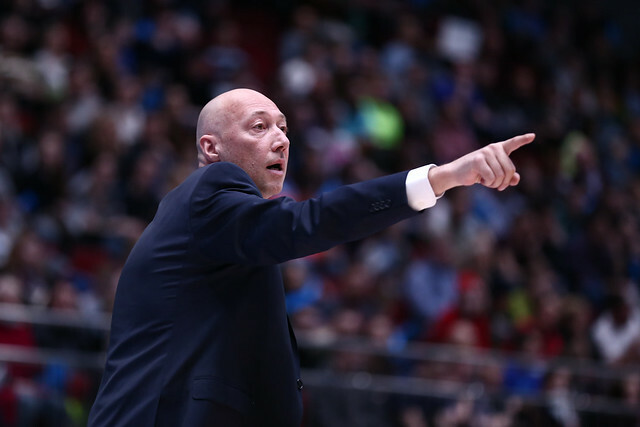 Zenit improves to 13-5 with six games remaining in the regular season, one half game ahead of 13-6 Lokomotiv-Kuban. 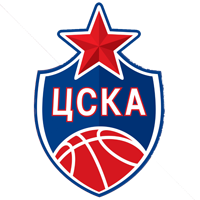 The 3rd-place team likely avoids a semifinal match-up with reigning champion CSKA, making this an exciting race to watch down the stretch. 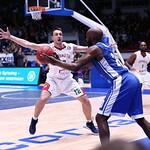 12 + 8 – The game featured 12 lead changes and eight ties. 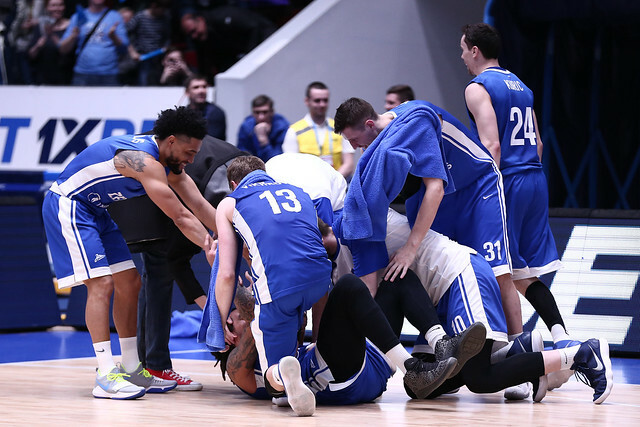 Both teams were desperate to win and it showed on Saturday night. 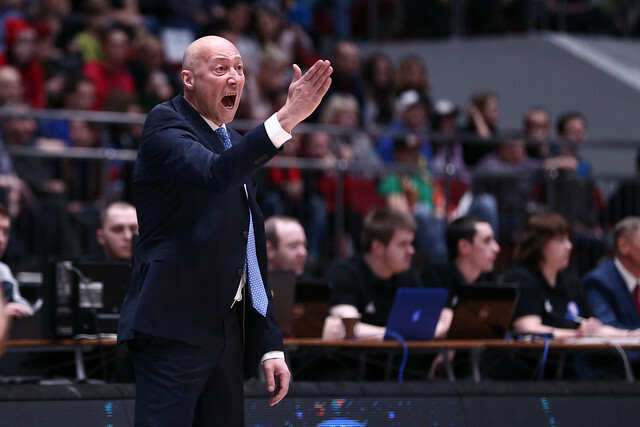 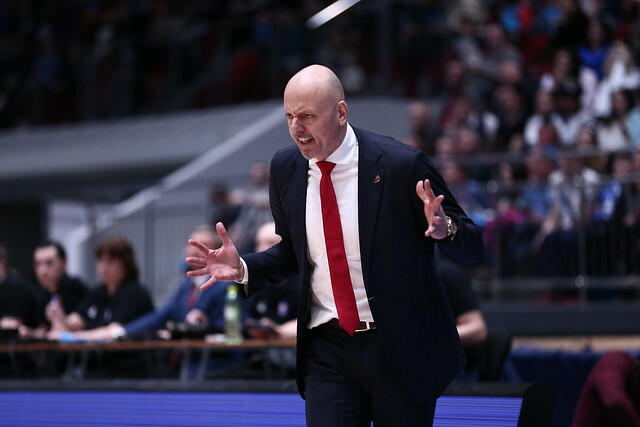 – We needed to bounce back from the game vs. Avtodor. 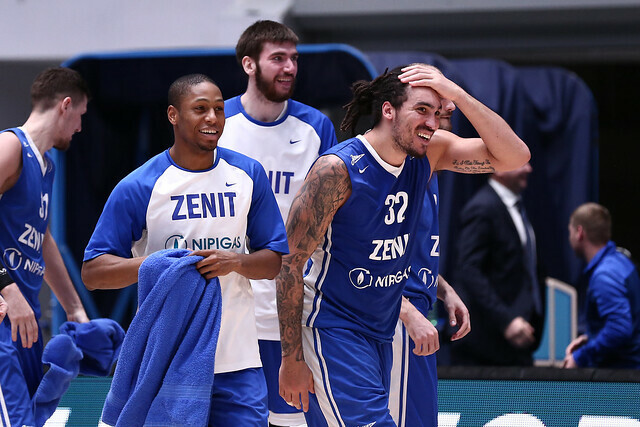 I said that the guys who worked hard in practice would play and get an opportunity. 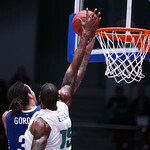 I’m especially pleased with the defense. 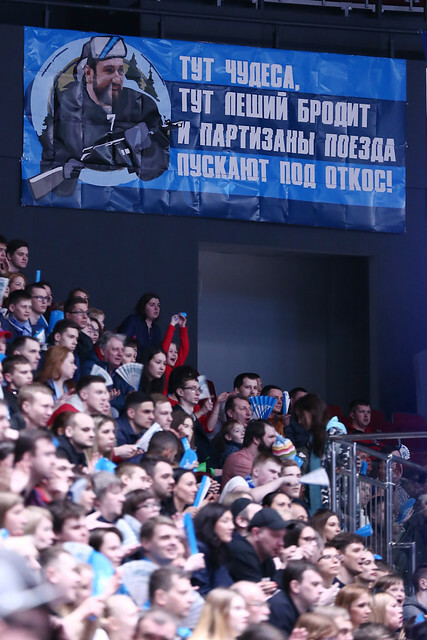 We had desire and effort. 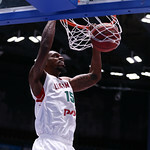 Even though we made plenty of mistakes, we played as a team. 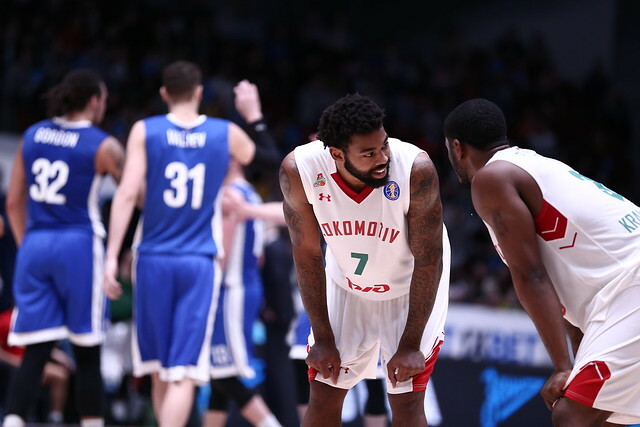 There were guys who battled for the club and for each other. 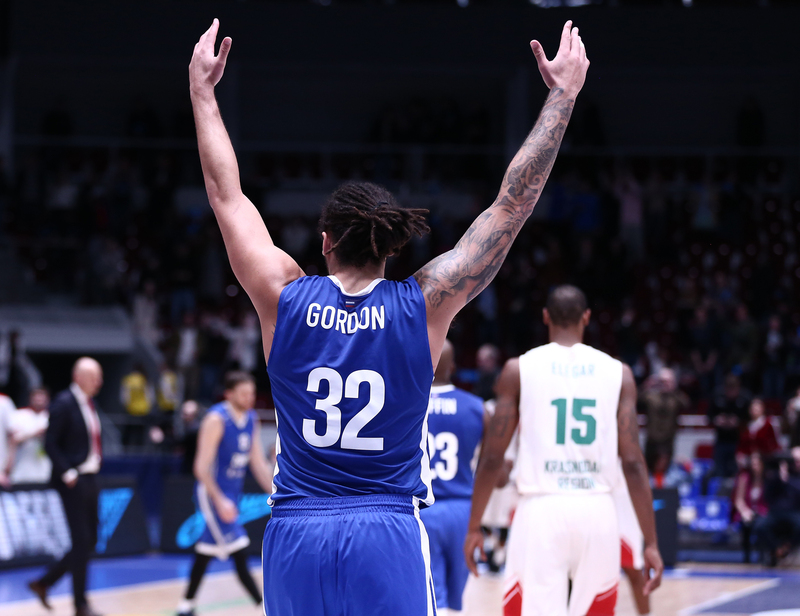 That defense delivered a result. 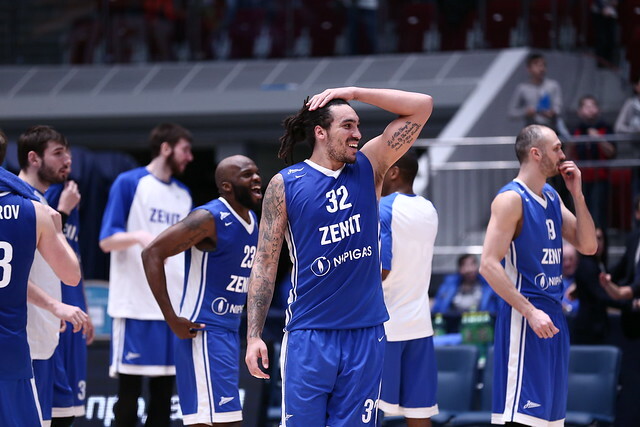 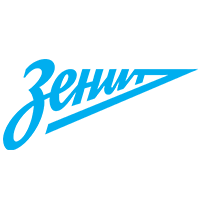 – Congratulations to Zenit on a deserved win. 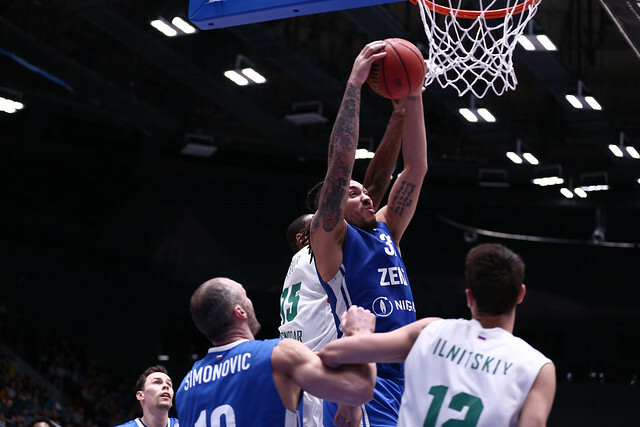 We had a chance to win at the end, but it didn’t work out. 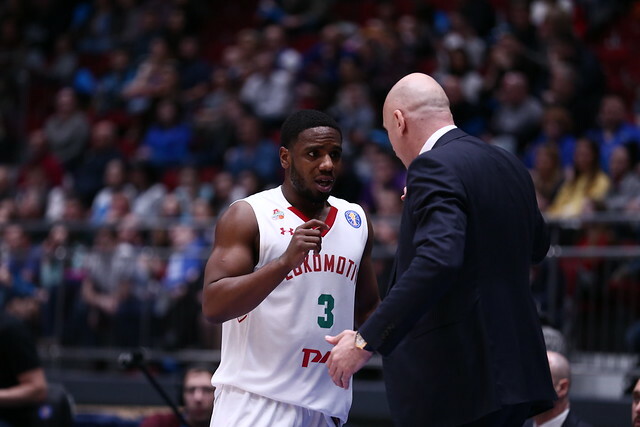 We started too slow and couldn’t impose our tempo. 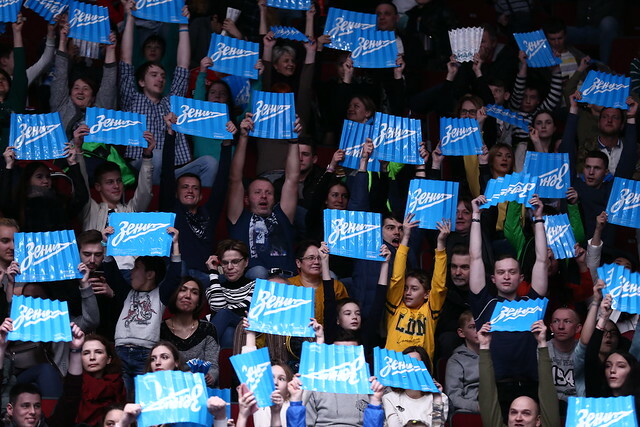 As a result, Zenit took advantage and gained the confidence it needed.